Nämä renkaat on suunniteltu mahdollisimman simppeleiksi, mutta silti toimiviksi. Pehmeä kumi tekee renkaista kestävät ja nopeat, ja ne sopivatkin hyvin sekä kadulle että parkeille. Vastaus SkateProlta: Precis som du säger är dessa gjorda av Aluminium 6061 T6 med ett PU hjulgummi. Helnöjd, bra kvalité, till ett bra pris. My son was very happy with these as they matched his Ethic scooter so the the slick design and colour was perfect! once again great quick service from skatepro! These wheels start off well but soon cause problems with bearing removal and general wear and tear. If you are riding park they should last a bit longer but on the streets they just aren't cut out for it. My front wheel dehubbed and my back one melted down to the core going down a hill. Spend a bit extra money and get more bang for your buck. 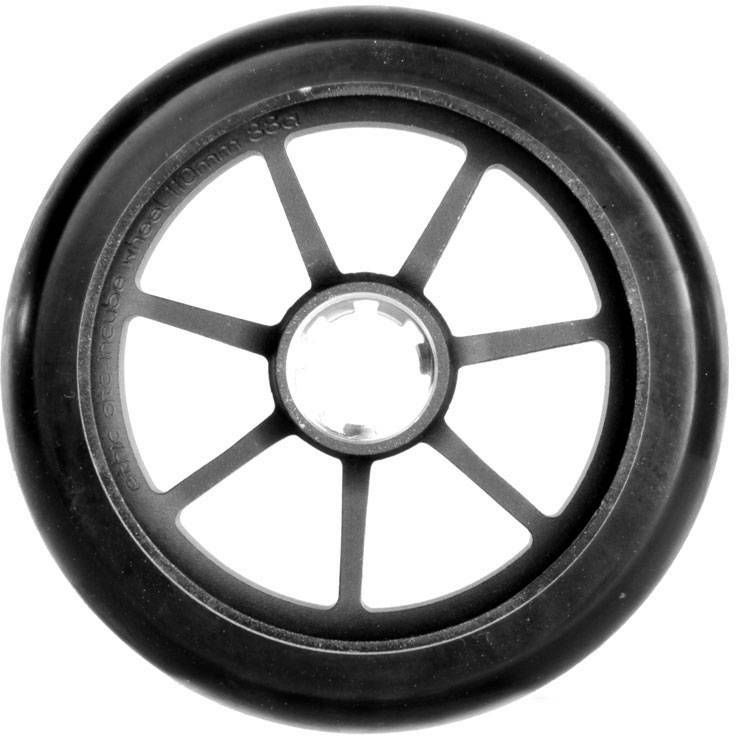 Vastaus SkateProlta: We are sorry to hear that you are not satisfied with the wheels! Feel free to contact us at email@skatepro.uk, if you feel the quality of a product is not as you expected. We are happy to help you. Very good wheels and a very good price, nice wide profile which gives plenty of grip.